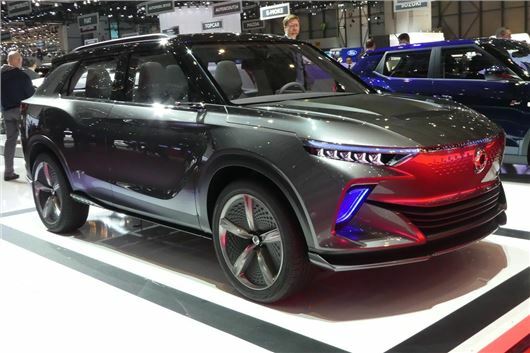 SsangYong will launch an all-electric compact SUV in 2020, based on the e-SIV concept that was revealed at the Geneva Motor Show 2018. The e-SIV - which stands for Electronic Smart Interface Vehicle - features a futuristic design and is powered by 61.5kWh battery and 140kW motor. The all-electric powertrain will carry the Vauxhall Mokka X-sized compact SUV up to 280 miles on a single charge. SsangYong hasn’t released any detailed charging stats, but says a fast charger will take the battery from zero to 80 per cent in just 50 minutes. As with all SsangYong models, the electric SUV will be backed by a comprehensive five-year-warranty as standard. Like the e-SIV concept, the plug-in SUV will offers has stage two self-driving technology, which means it will use radar and cameras to read road markings, keep itself in lane and maintain a safe distance from the vehicle in front. While certain elements are destined to change, the coupe roofline and body shape will generally stay the same. In fact, the e-SIV is expected to look like a "Korando on steroids", according to SsangYong's UK managing director, Nick Laird. The car's battery could be monitored through a smartphone app, making driving range anxiety, well, a little less anxiety-inducing. The telematics allows functions - like the air-conditioning, car diagnostics and vehicle management, emergency driving and driver safety support - to be controlled remotely. SsangYong has also said a new Korando is on the way. It will take it's design cues from the e-SIV concept too and be powered by petrol or diesel power. A mild hybrid powertrain is also on the cards, to boost fuel economy and lower CO2 emissions. While no prices have yet been confirmed for the new Korando, it will be more expensive than the current model. But, with SsangYong intent on offering customers a cheaper alternative to rivals like the Kia Sportage, we'd bet that prices will start at about £19,000.